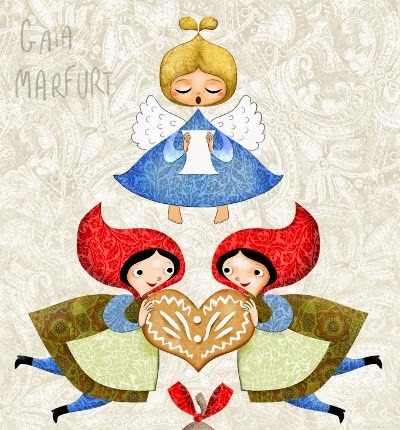 Per questo Natale ho creato un'illustrazione per Happy Spaces. Come regalo per il primo Natale di un bambino potete acquistare un quadretto personalizzato con il suo nome. 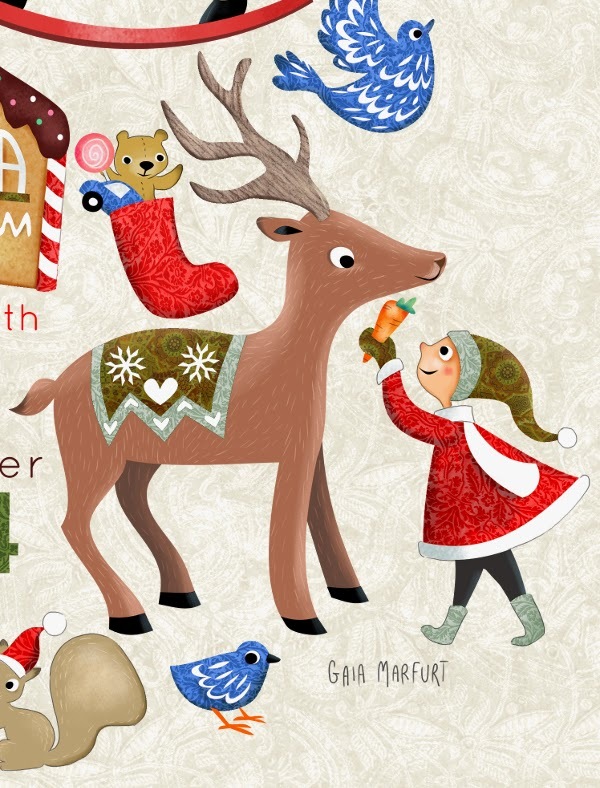 I've been working to a Christmas illustration for Happy Spaces. They write about it: Celebrate Baby’s first Christmas with this beautifully designed custom print, personalised with your baby’s name. Designed by italian artist, Gaia Marfurt, this personalised print is a perfect addition to any newborn's nursery or playroom. Lo ammetto... mi son divertita molto a creare quest'illustrazione. L'ho progettata come sempre in vettoriale con Inkscape, e l'ho colorata con Gimp. I really enjoied working on it! I made the project using Inkscape, and painted it with Gimp (using a wacom tablet).